It's hard to imagine, really, that not that long ago - in this decade, no less - an Aston Martin stand at Geneva would have featured a Vantage, a DB9, a Rapide and, er, not much else. How times change. 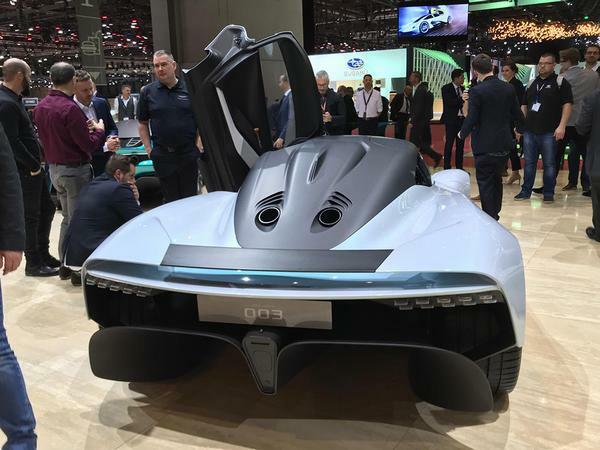 For this year's show Gaydon has pulled out all the stops, revealing a Vanquish Vision Concept, a second Lagonda concept and this, the AM-RB 003. 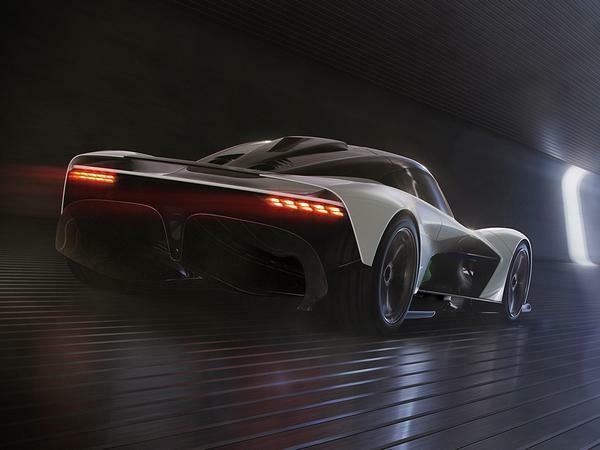 Described by Aston Martin as "both evolutionary and revolutionary", the AM-RB 003 "will incorporate concepts and technologies taken directly from F1 and applied to the epoch-making Aston Martin Valkyrie, providing it with performance to meet and surpass the performance demands of existing top-end hyper car rivals." 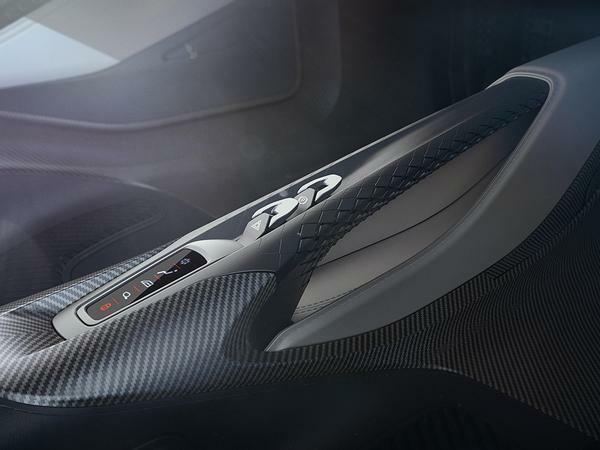 So while Red Bull Advanced Technology is involved in the engineering once more, and there's clearly no doubting the potential, the 003 is designed as a more accommodating hypercar than the Valkyrie; the interior is larger, the doors make getting in and out simpler, the centre console is wider, there's luggage space behind the seats and - get this - "stowage areas for oddments such as a wallet or mobile phone." Swanky. 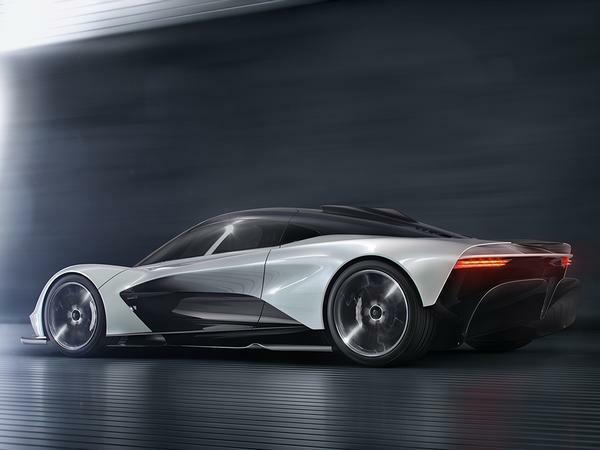 Still, as can be seen from these interior pics, the AM-RB 003 is clearly an uncompromising machine, those concessions to usability not coming at the expense of driver focus. A philosophy called 'Apex Ergonomics' aims to create a "uniquely stimulating, dynamic... driving environment." 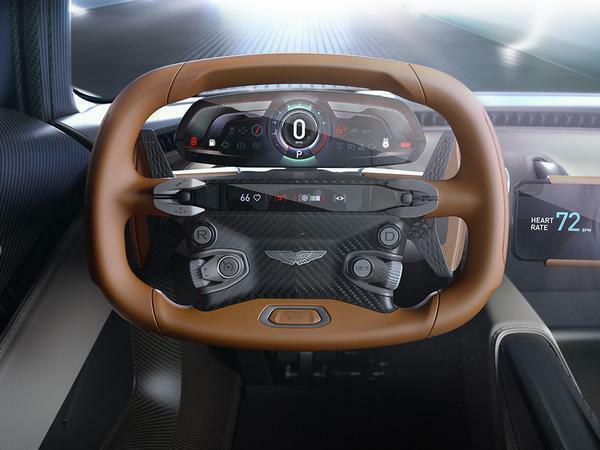 The screen mounted on the steering column provides information through a smartphone (and aids the view out), the centre console is 3D-printed to save weight and that centre band between windscreen and dash also deals with ventilation, audio and ambient lighting. Another new Aston phrase to get used to is 'Space Craft'; employed for the first time in the 003, Aston describes it as '"space-age technology and traditional craft". And if this interior preview is anything to go by, it's going to be truly spectacular. With few powertrain details yet known - beyond the fact that it will use a new hybrid turbo V6 engine, and that oil changes can take less than 90 seconds - the car's aerodynamics are the focus for now. Again on the space theme, the AM RB-003 uses 'Flexfoil', a NASA-validated material developed by FlexSys Inc, on the rear wing, to allow for changes in downforce without altering the physical angle of the wing itself. 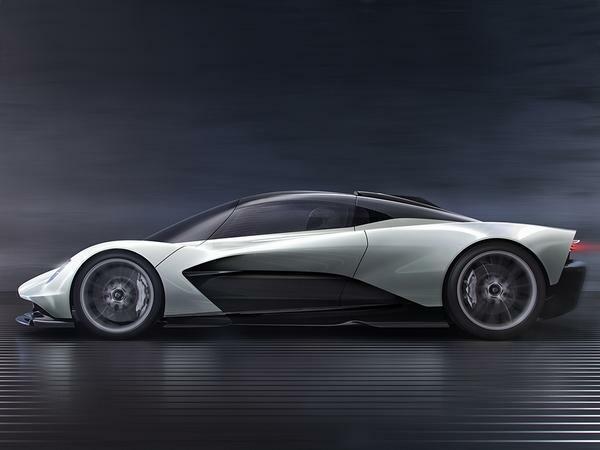 Aston says it creates a "a seamless design with high performance, improved efficiency and reduced wind noise"; in conjunction with the rear diffuser and underfloor work, expect a peak downforce figure in the hundreds of kilos. We're told a production car will allow for "even larger leading and trailing edge deflections." 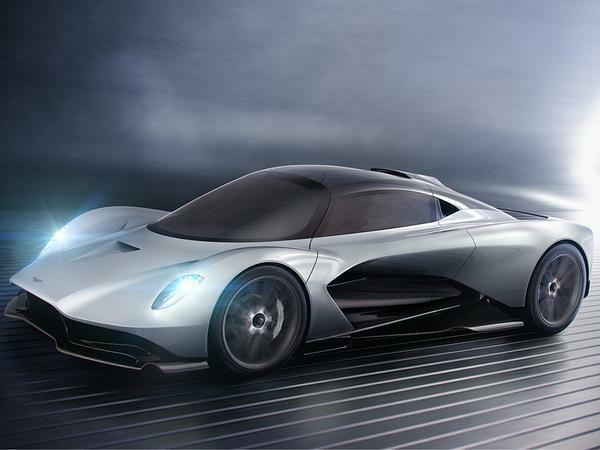 The design is pitched as intentionally mimicking the Valkyrie, a distillation and not a dilution according to the press release. 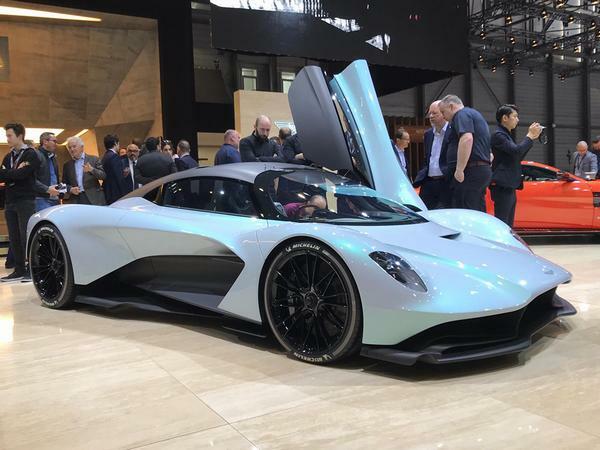 It's said that the aero demands dictate a similar silhouette, with the light graphics front and rear helping to identify the 003 from its 1,176hp stablemates. What do you think? The Valkyrie association is clear, though particularly from the rear the 003 is unlikely to be mistaken for anything else. 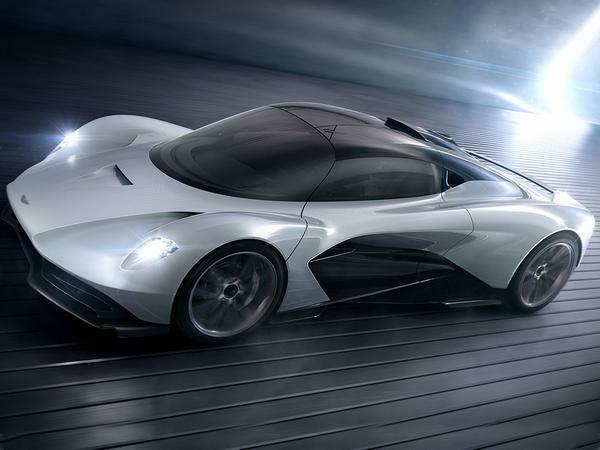 That said, Andy Palmer has mentioned in his comments that the 003 "will in turn influence Aston Martin's first series production mid-engined supercar." Which you can read about here. Busy, busy times ahead for Aston Martin then, which is seemingly the new normal at Gaydon nowadays - more information as we get it. I can’t keep up. One thing I will say though, it’s fantastic to see Aston Martin in this position after decades of struggle. Doesn't look half too bad. They lost me at twin turbo V6 though. How to out McLaren hire Adrian .